Abstract: The aim of this work was to determine the noise zones in twelve main labs of the College of Engineering at the University of Al-Mustansiriyah and to identify risk zones for users of the labs (students, staff and researchers) to prevent or reduce exposure. The background noise was measured in all labs and was found to range from 50 to 65 dBA. Eight labs (computer skills, computer and logic, computer, polymers and chemical, soil mechanics, structure material, metal inspection and air conditioner & refrigeration ) had noise levels that were considered acceptable (less than or equal to 80 dBA), two labs (sanitary and hydraulic) would need to implement a hearing conservation program because the noise level was 85 dBA, and two labs (structure and workshop ) exceeded the permissible limit, reaching values of 110 dBA; these labs require strong rehabilitation such as replacement of noisy old machines by quieter new machines, redistribution of equipment, reduction of ceiling height and addition of sound insulation material for the walls and ceiling. Keywords: background noise, laboratories, noise sources, noise zone. 1. WHO regional officer for Europe,JRC Eureapon Commission,Burden of disease from environmental noise, quantification of healthy life years lost in Europe, World Health Organization, 2011. 2. Canadian Centre for Occupational Health and Safety,Noise-auditory effects,2011. 3. Stansfeld,A.S.,Matheson,M.P., Noise pollution:non-auditory effects on health", British Medical Bulletin,,vol.68, 2003,pp:243-257. 4. Kinsler,L.E., Frey,A., Coppens A.B.,Sanders, J.V., Fundamentals of Acoustics, 4th edition, John Wiley &Sons,Inc,2000. 5. Froehlich,P., Noise Pollution in the Laboratory, Parker Hannifin Corporation,2013. 6. Gültekin,E., Yener,M., Develioğlu,Ӧ.N.,Kӧleli,H., Külekci,M., Noise pollution in biochemistry laboratories of different hospitals in Istanbul/Turkey, Turk Arch Otholaryngol,vol. 51,2013,pp: 67-9. 7. Singh, S., Gambhir,R.S., Singh,G.,Sharma,S.,Kaur,A., Noise levels in a dental teaching institute-A matter of concern!, J. of Clinical and Experimental Dentistry, 4(3): e141-5,2012. 8. Griffiths,P.D., Kell,R.L.,Taylor,W.,Noise levels in a clinical chemistry laboratory, J.Clin Pathology, vol.23,1970,pp:445-449. 9. Reynolds, C.,Noise levels and hearing protection devices:effect on student welding performance, J.of Agricultural Education,23-28,Summer 1990. 11. Asselineau,M., Noise control of laboratories:case studies, Acoustics’08 Paris conference, June29-July4,2008. 12. Directive 2003/10/EC of the European Parliament and of the Council, On the minimum health and safety requirements regarding the exposure of workers to the risks arising from physical agents-noise, Official Journal of the European Union,2003. 13. Internationl Labour Office,Geneva,Ambient factors in the workplace”, International Labour Origanization ,2001. 14. ISO 1996-1, Acoustics-Description and measurement of environmental noise,Part 1: Basic quantities and procedures,1996. 15. ISO 1996-2 , Acoustics-Description and measurement of environmental noise,Part 2: Acquisition of data pertinent to land use,1996. 16. David, E.D., Liu,H.F.,Liptak,B.G., Environmental engineer’s handbook, CRC Press LLC, 1999. 17. Environmental Health and Safety Department, Laboratory safety design guide—general requirements for laboratories, University of Washington, 2005. 18. Peters,R.J., Smith, B.J., Hollins,M., Acoustics and noise control, 3rd edition, Pearson Education Limited,2011. 19. Work safe BC, Sound Advice, a guide to hearing loss prevention programs”, Workers’ Compensation Board of British Columbia, WorkSafeBC Publications, 2006. 20. Norsok Standard S-002, Working environment”, Standard Norway, 2004. Abstract: Delayed coke drums are operated under severe conditions of cyclic heating and forced cooling that apply repetitive thermal stresses to the drum walls and the skirt. Since thermal cycling is most severe near the bottom of the coke drum, where temperatures can reach up to 1000°F, the skirt and other attachment welds are just as prone to cracking and premature structural failure as the vessel wall. The purpose is to determine a skirt / “Hot-box” junction geometry which will minimize thermal gradient stresses and improve fatigue life. The process flow of coke drum along with the temperature gradient due to coking process and the effect of thermal stresses on the skirt shell junction/ hot-box using finite element model. In present project work comparative analysis of hot box is done by analytical, FEA using ANSYS 13. Study demonstrates that by modifying the dimensions of the hot box such as length, will affects the fatigue life of coke drum. This appears to be due to the longer hot-box length, which results in a more gradual thermal gradient and also moves the gradient lower on the skirt away from the welded connection. 7. Chris Alexander, Richard Boswell, P.E., Techniques for modeling thermal and mechanical stresses generated in catalytic craker and coke drum hot-box. 8. Attila Lengyel, Jeno Hancsok, “Upgrading of delayed coker light naphtha in a crude oil refinery” (2009), Petroleum and Coal. Abstract: This project aims at designing an off grid solar-wind hybrid system for a remote locality. First of all, availability of solar and wind resources for a particular location in Chittagong has been checked. According to the solar irradiance and wind speed data Parki Sea Beach has been chosen as project site which is situated in Gahira, Anwara thana under southern part of Chittagong, Bangladesh. Different combinations have been selected by using HOMER in order to find minimized solution considering both cost and electricity production. Keywords: Hybrid Power System, HOMER, Weibull function. 8. Leng, G., “Distributed Photovoltaic Demand-Side Generation: An Economic Evaluation for Electric Utilities” - Master Degree Thesis, University of Massachusetts Lowell, MA, USA, November 1993. Abstract: Brain neoplasm/tumor is defined as any abnormal growth of cells in the brain. Basically brain tumors have variety of shapes and sizes. It can occur at any location and in different intensities. It can be Benign and Malignant. Benign tumor is not cancerous. So different techniques are used to solve the problem Clustering aims at representing large datasets by a fewer no. of prototypes or clusters. It brings simplicity in modeling the data and thus plays a central role in the process of knowledge discovery and data mining. In this method a hybrid approach for classification of brain tissue in MRI based on Particle Swarm Optimization (PSO) and Support Vector Machine (SVM) wavelet based texture feature are extracted from normal and tumor region by using HAAR wavelet. These features are given as input to the SVM classifier which classified them into normal & abnormal brain neoplasm. The algorithm incorporates steps for pre-processing, image segmentation and image classification using SVM classifier. 1. A .Kharrat, K Gasmi , M Ben Messaoud , N Benamrane and M Abid . “ A hybrid approach for automatic classif ication of brain MRI using genetic algorithm and support vector machine”, Leonardo journal of sciences, Issue 17, pp 71-82, July-Dec ,2010. 2. E F Badran, E G Mahmoud, N Hamdy “An algorithm for brain tumor in MRI images”, International Conference on Communication Computer Engineering and Systems (ICCES), Networking & Broadcasting, pp 368-373, June, 2010. 3. N Abdullah, Lee Wee Chuen; U K Ngah, KA Ahmad, “Improvement of MRI brain classification using Principles Component Analysis”, IEEE International Conference on Control System, Computing and Engineering (ICCSCE), ,pp 567-571, March, 2011. 4. M Hasanzadeh ,S Kasaei.”Multispectral brain MRI segmentation using genetic fuzzy systems” international conference on communication ,networking and broadcasting(ISSPA),pp 1-4,June,2001. 5. V.vapnik “the nature of statistical learning theory, springer-verlag, newyork, 1995. 6. S N Deepa, B A Devi .”Artificial neural networks design for classification of brain tumor” IEEE International Conference on Computer Communication and Informatics(ICCII), pp 1-6, 2012. 7. E. I.Zacharaki ,Sumei Wang ,S Chawla, Dong Soo Yoo, R Wolf ,E.R Melhem, C.Davatzikos.”MRI based classification of brain tumor type and grade using SVMRFE”.IEEE Symposium on bioengineering,pp-1035-1038,April ,2009. 8. M .C Clark, L. O Hall, D.B.Goldgof, R.Velthuizen, F.R. Murtagh, and M.S Silbiger. “Automatic tumor segmentation using knowledge based technique, IEEE transaction on medical imaging, vol 17,no 2,pp-187-192,April,1998. 9. W. E. Reddick , J.O Glass, E. N. Cook , T. D Elkin ,R. J. Deaton. “Automated segmentation and classification of multispectral magnetic resonance images of brain using artificial neural networks”, IEEE transaction on medical imaging, vol 16, no 6,pp 911-918 ,1997. 10. Huazhu Song , Zichun Ding, Cuicui Guo , Zhe Li, Hongxia Xia. “Research on combination kernel function of Support Vector Machine.” International Conference on Computer science and software engineering, pp-345-356, 2008. 11. Mcconnell Brain Imaging centre (june 2006) stimulated data base [online] available http://www.bic .mni.mcgill.ca /brainweb). 12. Y.J .Kennedy, R.Eberhart. “Particle Swarm Optimization.” IEEE International Conference on Neural Network,pp-1942- 1948, 1995. 13. Vladimir N. Vapnik “The Nature of Statistical Learning Theory” New York: Springer –Verlag, 2000. Abstract: When designing a System-on-Chip (SOC) using a Network-on-Chip (NOC), delay and throughput are two critical factors to optimize. In fact to improve performance of the system designer should reduce the Delay cycles and raise the Throughput, but always there are some loss, to keep balance between these two elements designer has to adjust PIR in a certain range, to grant this, we need to know, for which purpose the system is going to be designed, it strictly depends on whether high Throughput or low Delay cycle is required. Extending the number of Virtual Channel (V.C) is a way to achieve this target. Here in this work we have selected three networks with in order 64,512 and 1024 IPs. The effect of V.C extension is evaluated on each one. We will observe, while varying the range of PIR , obtained results of simulator are different for V.C= 4,8,16, as we extend the V.C, delay cycle is reduced but in expense of more cost in some cases. In this paper we identify the take off points for Delay cycles and the points that has not be crossed by PIR rate level, to get a better trading off between effective elements of networks. Performance evaluation is conducted based on flit-accurate and open source System C simulator, BOOKSIM. 1. M. Bakhouya, S. Suboh, J. Gaber, and T. El-Ghazawi. Analytical modeling and evaluation of on-chip interconnects using network calculus. In Proceedings of the 2009 3rd ACM/IEEE International Symposium on Networks-on-Chip, pages 74–79. IEEE Computer Society, 2009. 2. P. Beekhuizen and J. Resing. Performance analysis of small non-uniform packet switches. Performance Evaluation, 66(11):640–659, 2009. 3. D. Bertozzi, A. Jalabert, S. Murali, R. Tamhankar, S. Stergiou, L. Benini, and G. De Micheli. NoC synthesis flow for customized domain specific multiprocessor systems-onchip. IEEE Transactions on Parallel and Distributed Systems, 16(2):113–129, 2005. 4. C. Bienia, S. Kumar, J. Singh, and K. Li. The PARSEC benchmark suite: Characterization and architectural implications. In Proceedings of the 17th international conference on Parallel architectures and compilation techniques, pages 72–81. ACM, 2008. 5. Luca Benini, Giovanni De Micheli, “Networks on Chips: A New SoC Paradigm.”, IEEE Computer, January 2002 (Vol. 35, No. 1), pp.70-78. 6. W. J. Dally and B. Towles, “Route Packets, Not Wires: On-Chip Interconnection Networks”, DAC, June 2001, pp. 684-689. 7. E. Rijpkema, K. G. W. Goossens, A. Radulescu, J. Dielissen, J. van Meerbergen, P. Wielage, and E. Waterlander, "Trade offs in the design of a router with both guaranteed and best-effort services for networks on chip", Proceedings of Design Automation and Test Conference in Europe, March 2003. 8. Michael Bedford Taylor, Jason Kim, Jason Miller, David Wentzlaff, Fae Ghodrat, Ben Greenwald, Henry Hoffman, Jae-Wook Lee, Paul Johnson, Walter Lee, Albert Ma, Arvind Saraf, Mark Seneski, Nathan Shnidman, Volker Strumpen, Matt Frank, Saman Amarasinghe and Anant Agarwal, ‘The Raw Microprocessor: A Computational Fabric for Software Circuits and General Purpose Programs”, IEEE Micro, March/April 2002. 9. J. Liang, S. Swaminathan, and R. Tessier, “aSOC: A Scalable, Single- Chip Communications Architecture.”, In the Proceedings of the IEEE International Conference on Parallel Architectures and Compilation Techniques, Philadelphia, PA. October 2000. 10. W. J. Dally, “Virtual-channel flow control”, IEEE Transactions on Parallel and Distributed systems, vol. 3, no. 2, pp. 194-205, March, 1992. Abstract: Pseudo Random Noise (PRN) codes are essential part in space communication. A pseudo random noise binary sequence is a semi-random sequence in the sense that it appears random within the sequence length, fulfilling the needs of randomness. The objective of the paper is to generate different types of PN sequences i.e. Legendre sequence, Weil sequence, Sidel’nikov sequence and polyphase Sidel’nikov sequence which are used for space communication applications and compare their randomness characteristics. Legendre sequences are generated based on the ON-THE-FLY code generation method. Weil sequence is obtained by performing EX-OR of the Legendre sequence and a circular shift of Legendre sequence. In this paper, the different types of PN sequences are used to construct the spread spectrum communication system with BPSK modulation. Keywords: Legendre sequence, Weil sequence, Sidel’nikov sequence, Finite field. 1. Hui Lu and Ruiyao Niu (school of electronic & information Engineering, Beihang university). Generation method of GPS L1C codes based on quadratic reciprocity law. 2. P. Mumford, E. Glennan and N. Shivaramaiah (university of New South Wales, Australia). An Investigation of correlator Design Architecture to support QZSS L1 signals. 3. Young-Sik Kim, Ji-woong Jang, Jong-Seon No, sang- Hyo Kim. New Quaternary sequences with Ideal Auto correlation constructed from Legendre sequences. 4. R.G.Van schyndel, A.Z. Tirkel, I.D.svalbe (Depatment of physics, Manash University, Clayton, 3168, Australia). Key Independent Watermark Detection. 5. Stefan Wallner, Jose-Angel Avila-Rodriuez, Guenter W.Hein (university FAF Munich, Germany). Galileo E1 OS and GPS L1C pseudo Random Noise codes. 6. Joseph J. Rushanan (the MITRE Corporation, Bedford, 01730, USA). Weil sequences: A Family of Binary sequences with Good correlation properties. 7. Nam Yul Yu and Guang Gong (Department of Electrical & computing engineering, university of waterloo). Multiplicative characters, the Weil Bound, and polyphase sequences families with low correlation. 8. Young-Sik Kim, Jung-Soo Chung, Jong-Sean No. On the Autocorrelation Distributions of Sidel’nikov sequences, IEEE Transactions of Information Theory, VOL. 51,No.9,September 2005. 9. Dae san Kim, Member: IEEE. A family of sequences with large size and good correlation property arising from M-ary Sidel’nikov sequences of period qd-1, Journal of latex Class Fields, Vol.6,No.1, January 2007. 10. Nam Yul Yu and Guang Gong (Lakehead University). New construction of M-ary sequence Families with low correlation from the structure of Sidel’nikov sequences. 11. Yu-Chang Eun, Hong-Yeop Song and Gohar M. Kyureghyan, One-error linear complexity over Fp of Sidel’nikov sequence. 13. Alfred J.Menezes, Paul C. Van Oorschot, scoot A.Vanstone, HANDBOOK of APPLIED CRYPTOGRAPHY. Abstract: Because of increasing popularity of mobile devices their applications and infrastructure tends to advance quickly. The use of Smartphone’s for the efficient content sharing among the wireless Delay Tolerant Networks (DTN) is growing worldwide. There are many methods recently presented by various researchers for efficient content sharing in DTN. However these methods are suffered from the various limitations. Hence this area of research is still challenging problem for researchers. Most of methods presented for content sharing are based on prediction of whether two nodes would encounter each other, regardless of considering the time and place of the encounter. But this method has many limitations which were later overcome by recently presented method. The recent method presented is based on discover-predict-deliver which is practically resulted as improved and efficient content sharing scheme for delay-tolerant Smartphone networks. However the limitation of this method is excessive battery power consumption which limits the lifetime of Smartphone. In this paper we have designed the method for android Smartphone in order to minimizing the batter power consumption. This method tries to use the idle times of Smartphone in order to stop applications like , Bluetooth and various other applications which are consuming the battery power during the idle condition. Also while sharing contents we will focus on file transfer rate, transmission cost and security. Keywords: Delay-Tolerant Networks; Hot Spot;Wi-Fi. 1. Elmurod Talipov, Yohan Chon, and Hojung Cha, Member, IEEE, “Content Sharing over Smartphone-Based Delay-Tolerant Networks”, IEEE TRANSACTIONS ON MOBILE COMPUTING, VOL. 12, NO. 3, MARCH 2013. 2. Vahdat and D. Becker, “Epidemic Routing for Partially Connected Ad Hoc Networks,” technical report, Dept. of Computer Science, Duke Univ., Sept. 2000. 3. T. Spyropoulos, K. Psounis, and C. Raghavendra, “Efficient Routing in Intermittently Connected Mobile Networks: The Single-Copy Case,” IEEE/ACM Trans. Networking, vol. 16, no. 1, pp. 63-76, Feb. 2008. 4. T. Spyropoulos, K. Psounis, and C.S. Raghavendra, “Efficient Routing in Intermittently Connected Mobile Networks: The Multiple-Copy Case,” IEEE/ACM Trans. Networking, vol. 16, pp. 77-90, Feb. 2008. 5. M. Pitkanen, T. Karkkainen, J. Greifenberg, and J. Ott, “Searching for Content in Mobile DTNs,” Proc. IEEE Int’l Conf. Pervasive Computing and Comm. (PERCOM ’09), pp. 1-10, 2009. 6. J. Hightower, S. Consolvo, A. Lamarca, I. Smith, and J. Hughes, “Learning and Recognizing the Places We Go,” Proc. Seventh Int’l Conf. Ubiquitous Computing, pp. 159-176, 2005. 7. M.B. Kjaergaard, J. Langdal, T. Godsk, and T. Toftkjaer, “Entracked: Energy-Efficient Robust Position Tracking for Mobile Devices,” Proc. ACM MobiSys, pp. 221-234, 2009. 8. Constandache, S. Gaonkar, M. Sayler, R.R. Choudhury, and O. Cox, “Enloc: Energy-Efficient Localization for Mobile Phones,” Proc. IEEE INFOCOM, pp. 2716-2720, 2009. 10. V. Cerf, S. Burleigh, A. Hooke, L. Torgerson, R. Durst, K. Scott, K. Fall, and H. Weiss, “Delay-Tolerant Network Architecture,” RFC4838, Jan. 2007. 11. Sharma, V. Navda, R. Ramjee, V. N. Padmanabhan, and E. M. Belding. Cool-Tether: Energy Efficient On-the-fly WiFi Hot-spots using Mobile Phones. In Proceedings of CoNEXT 2009, pages 109–120, Dec. 2009. 12. J. Hightower, S. Consolvo, A. Lamarca, I. Smith, and J. Hughes, “Learning and Recognizing the Places We Go,” Proc. Seventh Int’l Conf. Ubiquitous Computing, pp. 159-176, 2005. 13. C. Drula, C. Amza, F. Rousseau, and A. Duda. Adaptive Energy Conserving Algorithms for Neighbor Discovery in Opportunistic Bluetooth Networks. IEEE Journal on Selected Areas in Communications, 25(1):96–107, Jan. 2007. 14. R. Friedman, A. Kogan, and Y. Krivolapov. On Power and Throughput Tradeoffs of WiFi and Bluetooth in Smartphones. In Proceedings of INFOCOM 2011, pages 900–908, Apr. 2011. Abstract: The following report explores about concept of shear wall, bare frame and infilled structure. In past the high rise buildings structures offer some major advantages but also pose serious challenges to designers in seismic and wind loading and structure economically not feasible. Structural engineer added some other elements like braces, shear wall, dampers, and isolators to improve the performance of the structure, but structure still become uneconomically and it is also complex to design. Adding some other element is not sufficient solution to make structure economical. Now, to avoid this problem in this report talk about non structural element such as masonry wall, which are already exist elements in a structure. Structural engineer accepted that if the properties of infill wall or masonry wall considered in structural design it will helps to enhance the strength and stiffness of the structure. But in India infill wall is not considered as a structural element so here lot of research and development required regarding with consideration of infill wall in all point of view. In this report discussed about the effect of curtailment of shear wall in bare frame and infilled frame for this lot of literature survey are included regarding with this project. Some models are analysed in SADD Pro V8i such as Bare Frame, In filled Frame, Bare Frame with shear wall, Infilled Frame with shear wall, and Bare Frame with curtailed shear wall and infilled with curtailed shear wall and get the result in terms of storey drift, bending moment, shear force and axial force. From this result understand the behavior of the structure in different condition and concluded that infilled frame structure are superior to the bare frame structure. Infill wall improve the strength and stiffness of the structure and reduce the storey drift. If shear wall provided in infilled structure then, it will help to reduce the bending moment and shear force in beam and column. It is not necessary to provide shear wall up to whole height of the structure. If shear wall are curtailed in Bare Frame and infilled Frame up to certain height then concluded that the Infilled frame gives better result Than the Bare frame. Keywords: Bare Frame, Diagonal strut, Infilled Frame, Shear wall. 5. Rajesh J. P. and Vinubhai. R. Patel (2013), “Effect of Different Position of Shear Wall on Deflection in High Rise Building.” International Journal of Advances in Engineering & Technology, Sept. 2013. @IJAET, ISSN: 22311963, Vol. 6, Issue 4, pp. 1848-1854. 11. AshishS.Agrawal, S.D.Charkha (2012), “Effect of change in shear wall location on storey drift of multi-storey building subjected to lateral loads.” (IJERA), ISSN: 2248-9622, Vol. 2, Issue 3, May-Jun 2012, pp.1786-1793. 13. Shahzad Jamil Sardar and Umesh. 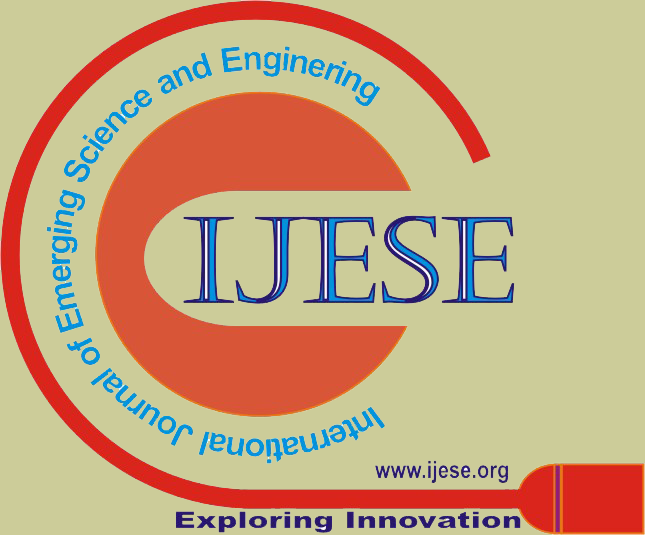 N. Karadi (2013), “Effect of change in shear wall location on storey drift of multistory building subjected to lateral loads.” International Journal of Innovative Research in Science, Engineering and Technology (An ISO 3297: 2007 Certified Organization) (IJIRSET) Vol. 2, Issue 9, September 2013, ISSN: 2319-8753, pp.4241-4249. 19. onry-Infills.”(IJAEST)-Volume-No-2,Issue-No-2, ISSN: 2230-7818 pp.140-147. 21. J. Dorji and D.P. Thambiratnam (2009), “Modelling and Analysis of infilled frame structures under seismic loads.” The Open Construction and Building Technology Journal, 2009, vol-3, pp.119-126, 1874-8368/09. 22. Elena Vaseva (2009), “Seismic Analysis of Infilled RC frames with Implementation of a masonry panel models.” 11th National Congress on Theoretical and Applied Mechanics, 2-5 Sept. 2009, Borovets, Bulgaria. 23. S. Hak, P. Morandi, and G. Magenes (2013), “Local effect in the seismic design of RC frame structure with masonry infills.” 4th ECCOMAS Thematic Conference on Computational Methods in Structural Dynamics and Earthquake Engineering M. Papadrakakis, N.D.Lagaros, V. Plevris (eds.) Kos Island, Greece, 12–14 June 2013. 24. Sachin R Patel, Sumant B patel (2011), “Effect of Brick infill panel in Design of high rise buildings.” (NCRTET), B.V.M. Engineering College, V.V. Nagar, Gujarat, India 13-14 May 2011. 25. Kashif Mahmud, Md. Rashadul Islam and Md. Al-Amin (2010), “Study the reinforced concrete frame with brick masonry infill due to lateral loads.” IJCEE-IJENS Vol: 10 No:04 pp. 35-40. 108504-2727-August 2010. 26. Md Irfanullah , Vishwanath. B. Patil (2013), “Seismic Evaluation of RC framed buildings with influence of masonry infill panel.” (IJRTE) ISSN: 2277-3878, Volume-2, Issue-4, September 2013 pp.117-120. 27. Nikhil Agrawal, Prof.P.B Kulkarni, Pooja Raut (2013), “Analysis of masonry infilled RC frame with & without opening including soft storey by using equivalent diagonal strut method.” (IJSR) Publications, Volume 3, Issue 9, September 2013 1 ISSN 2250-3153. 30. Catherin Jeselia M., Jayalekshmi B.R., KattaVenkataramana (2013), “Modelling of masonry infill-A review.”(AJER) e-ISSN : 2320-0847 p-ISSN : 2320-0936 Volume-2 pp-59-63. Abstract: In this present study, cost analysis and design of prestressed concrete girder and reinforced concrete girder is presented. The aim and objective can be summarized as to analyze and design the concrete girder under a IRC class 70 R loading. To formulate the entire problem for a couple of span under the loading mentioned above to obtain shear force and bending moment at regular intervals along the beam. To use the software STAAD PRO for the analysis and design of prestressed concrete girders. Before using the software for analysis it will be validated by comparing its results with the corresponding classical theory result. To carry out the parametric analysis for prestressed concrete I girder and reinforced concrete girder. To calculate the quantities of concrete and steel required as per the analysis and design carried out for the girders and to carry out the comparative study for the same. Keywords: Reinforced concrete girder, Deck slab, I girder, Prestressed concrete. 23. IRC: 6-2000 Standard specification and code of practice for road bridges. Section- II, load and stresses. 24. IRC: 18-2000 Design criteria for prestressed concrete road bridges (Post tensioned concrete). 25. IRC: 22-1986 Standard specification and code of practice for road bridges. Section- VI, Composite construction. Abstract: Recently many researchers have proved the capability of agricultural solid wastes as adsorbents to remove many types of pollutants including petroleum hydrocarbons. This study was examined oil adsorption capacity of modified sugarcane bagasse to explore their practical application in treating oil spills within water. All type of oil by-products are toxic and cause severe problems to aquatic environment. Sugarcane bagasse can remove some oil by-product, although need modification. The oil by-product capacities of sugarcane bagasse vary, depending on the pH of solution, initial oil concentration, adsorbent dosage and its size, process temperature and salinity of aqueous. Maximum adsorption capacity of modified micro size bagasse was seen about 20g oil by-product per 1g sorbent. Keywords: Oil by-Product, sugarcane bagasse, pollutants, modification. 1. M.A. Abdullah, A.U. Rahmah, Z. Man, Physicochemical and sorption characteristics of Malaysian Ceiba pentandra (L.) Gaertn. as a natural oil sorbent, J. Hazard. Mater. 177 (1–3) (2010) 683–691. 2. Srinivasan, T. Viraraghavan, Removal of oil by walnut shell media, Bioresour. Technol. 99 (17) (2008) 8217–8220. 3. C.O. Obuekwe, Z.K. Al-Jadi, E.S. Al-Saleh, Hydrocarbon degradation in relation to cell-surface hydrophobicity among bacterial hydrocarbon degraders from petroleum-contaminated Kuwait desert environment, International Biodeterioration & Biodegradation 63 (2009) 273–279. 4. A.L. Ahmad, M.F. Chong, S. Bhatia, S. Ismail, Drinking water reclamation from palm oil mill effluent (POME) using membrane technology, Desalination 191 (1–3) (2006) 35–44. 5. T.R. Annunciado, T.H.D. Sydenstricker, S.C. Amico, Experimental investigation of various vegetable fibers as sorbent materials for oil spills, Mar. Pollut. Bull. 50 (11) (2005) 1340–1346. 6. Kh.A. Halouli, N.M. Drawish, Effects of pH and inorganic salts on the adsorption of phenol from aqueous systems on activated decolorizing charcoal, Sep. Sci. Technol. 30 (1995) 3313. 8. L.V.A. Gurgel, R.P. Freitas, L.F. Gil, Adsorption of Cu(II), Cd(II), and Pb(II) from aqueous single metal solutions by sugarcane bagasse and mercerized sugarcane bagasse chemically modified with succinic anhydride, Carbohydrate Polymers74 (2008) 922–929. 9. M.A. Lillo-Rodenas, J.P. Marco-Lozar, D. Cazorla-Amoros, A. Linares-Solano, Activated carbons prepared by pyrolysis of mixtures of carbon precursor/ alkaline hydroxide, Journal of Analytical and Applied Pyrolysis 80 (2007) 166–174. 10. N.H. Phan, S. Rio, C. Faur, L. Le Coq, P. Le Cloirec, T.H. Nguyen, Production of fibrous activated carbons from natural cellulose (jute, coconut) fibers for water treatment applications, Carbon 44 (2006) 2569–2577. 11. J. Rubio, T.H. Ribeiro, R.W. Smith, A dryed hydrophobic aquaphyte as an oil filter for oil/water emulsions, Spill Science & Technology Bulletin 8 (2003) 483–489. 12. V.K. Gupta, Suhas, Application of low cost adsorbents for dye removal—a review, Journal of Environmental Management 90 (2009) 2313–2342. 13. Poliana C. Brandão, Túlio C. Souza, Cíntia A. Ferreira, Carla E. Hori, Lucienne L. Romanielo, Removal of petroleum hydrocarbons from aqueous solution using sugarcane bagasse as adsorbent, Journal of Hazardous Materials 175 (2010) 1106–1112. 14. K. Swaminathan, R. Ayyappan, A. Carmalin Sophia, S. Sandhya, Removal of Pb(II) from aqueous solution using carbon derived from agricultural wastes, Process Biochemistry 40 (2005) 1293–1299. 15. O. Karnitz Jr., L.V.A. Gurgel, L.F. Gil, Adsorption of Ca(II), Mg(II), and Pb(II) from aqueous single metal solutions by mercerized cellulose and mercerized sugarcane bagasse chemically modified with EDTA dianhydride (EDTAD), Carbohydrate Polymers 79 (2009) 184–191. 16. D.R. Mulinari, M.L.C.P. da Silva, Adsorption of sulphate ions by modification of sugarcane bagasse cellulose, Carbohydrate Polymers 74 (2008) 617– 620. 17. O. Karnitz Jr., L.V.A. Gurgel, J.C.P. Melo, V.R. Botaro, T.M.S. Melo, R.P.F. Gil, L.F. Gil, Adsorption of heavy metal ion from aqueous single metal solution by chemically modified sugarcane bagasse, Bioresource Technology 28 (2007) 1291–1297. 18. L.H. Wartelle, W.E. Marshall, Chromate ion adsorption by agricultural byproducts modified with dimethyloldihydroxyethylene urea and choline chloride, Water Research 39 (2005) 2869–2876. 20. Chiparus, O.I., 2004. Bagasse fiber for production of nonwoven materials. Ph.D. Thesis, Louisiana State University and Agricultural and Mechanical College, May. <http://etd.lsu.edu/docs/available/ etd-02262004-111054/>. 22. D. Arand-elovic´ , M. Jovanovic´ , B. Kovacˇevic´ , L. Pezo, A.C.A. Jovanovic´ , Removal of mineral oil and wastewater pollutants using hard coal, Chem Ind. Chem Eng. Quart. 15 (2) (2009) 57–62. 23. A.L. Ahmad, S. Sumathi, B.H. Hameed, Adsorption of residue oil from palm oil mill effluent using powder and flake chitosan: equilibrium and kinetic studies, Water Res. 39 (12) (2005) 2483–2494. 24. X. Huang, T. Lim, Performance and mechanism of a hydrophobic–oleophilic kapok filter for oil/water separation, Desalination 190 (2006) 295–307. 25. S. Ibrahim, H. Ang, S. Wang, Removal of emulsified food and mineral oils from wastewater using surfactant modified barley straw, Bioresour. Technol. 100 (23) (2009) 5744–5749. 26. Rafeah Wahi, Luqman Abdullah Chuah , Thomas Shean Yaw Choong , Zainab Ngaini, Mohsen Mobarekeh Nourouzi a , Oil removal from aqueous state by natural fibrous sorbent: An overview, Separation and Purification Technology 113 (2013) 51–63. 27. A.L. Ahmad, S. Sumathi, B.H. Hameed, Adsorption of residue oil from palm oil mill effluent using powder and flake chitosan: equilibrium and kinetic studies,Water Res. 39 (12) (2005) 2483–2494. 28. S. Ibrahim, S. Wang, H.M. Ang, Removal of emulsified oil from oily wastewater using agricultural waste barley straw, Biochem. Eng. J. 49 (1) (2010) 78–83. 29. V. Rajakovic´-Ognjanovic´ , G. Aleksic´ , L. Rajakovic´ , Governing factors for motor oil removal from water with different sorption materials, J. Hazard. Mater. 154 (1–3) (2008) 558–563. 30. Langmuir, I. (1918). Adsorption of gases on plain surfaces of glass, mica and platinum. Journal of the American Chemical Society, 40, 1361–1403. 31. Ho, Y. S., Chiu, W. T., & Wang, C. C. (2005). Regression analysis for the sorption isotherms of basic dyes on sugarcane dust. Bioresource Technology, 96(11), 1285–1291. 32. C.H. Giles, T.H. Maceran, S.N. Nakhwa, D. Smith, Journal of the Chemical Society (1960) 3973.